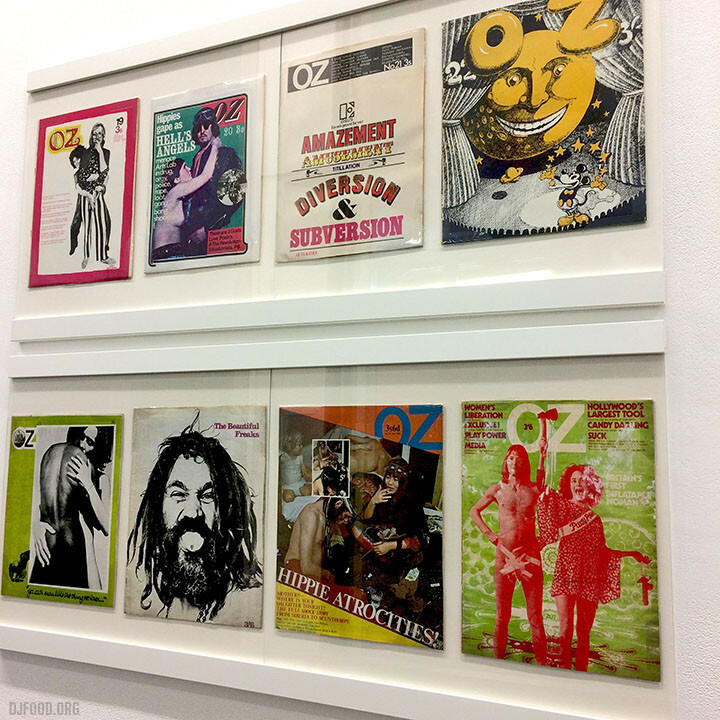 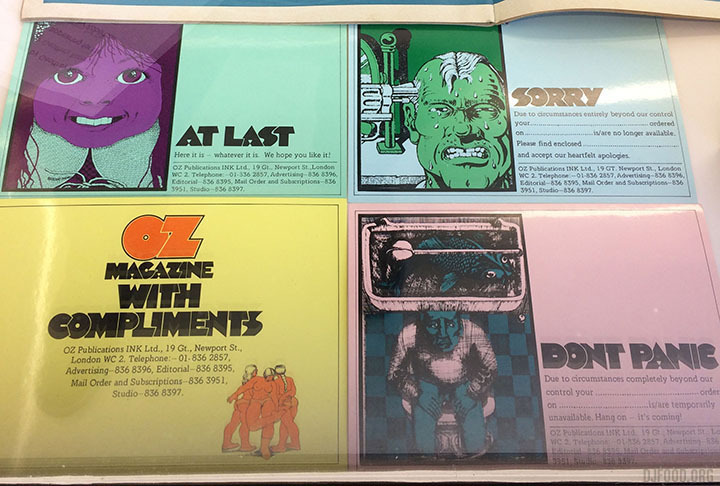 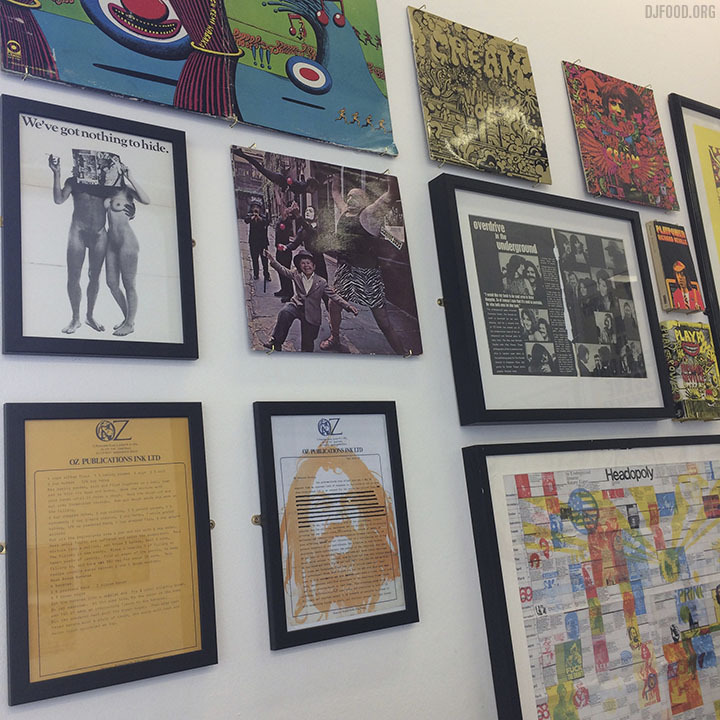 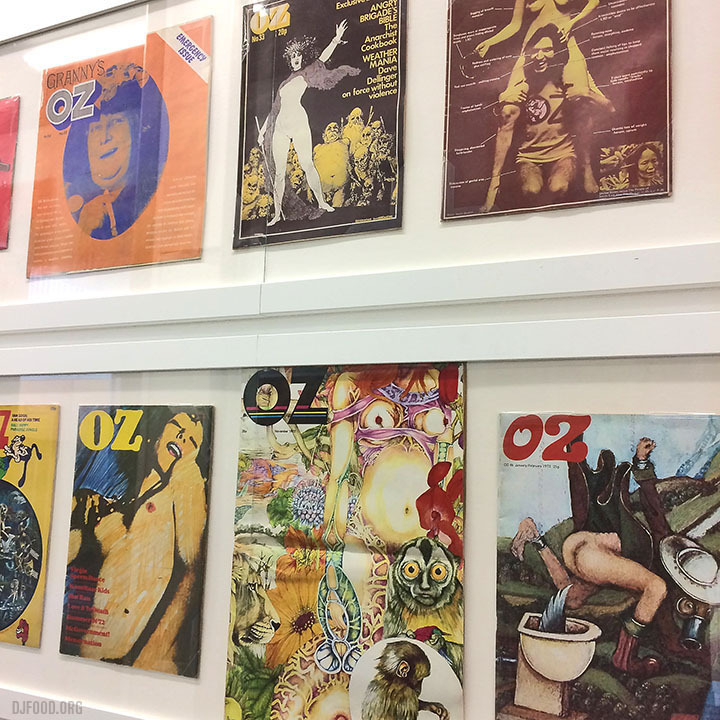 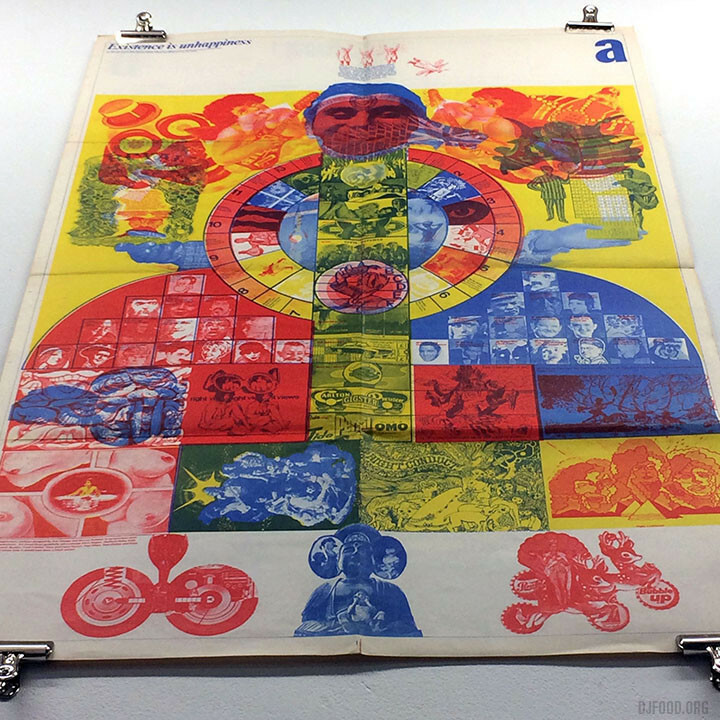 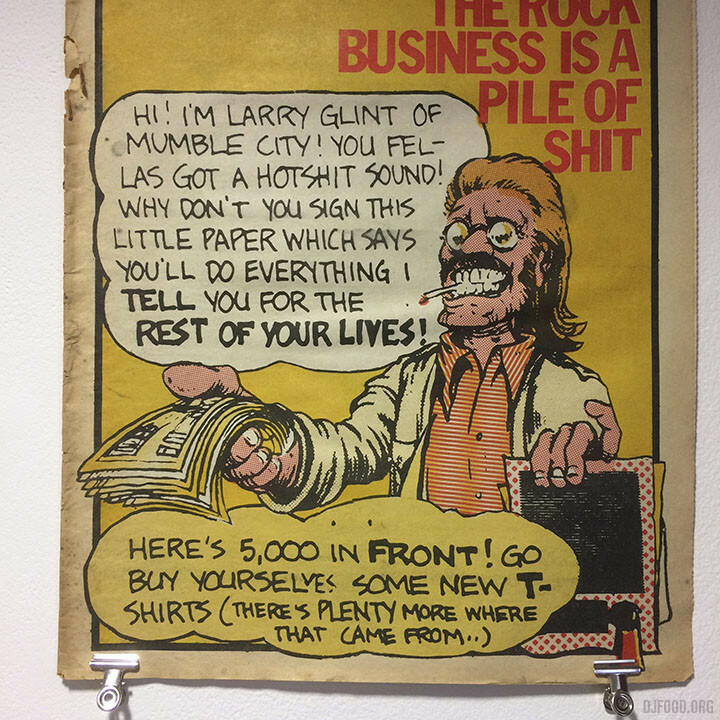 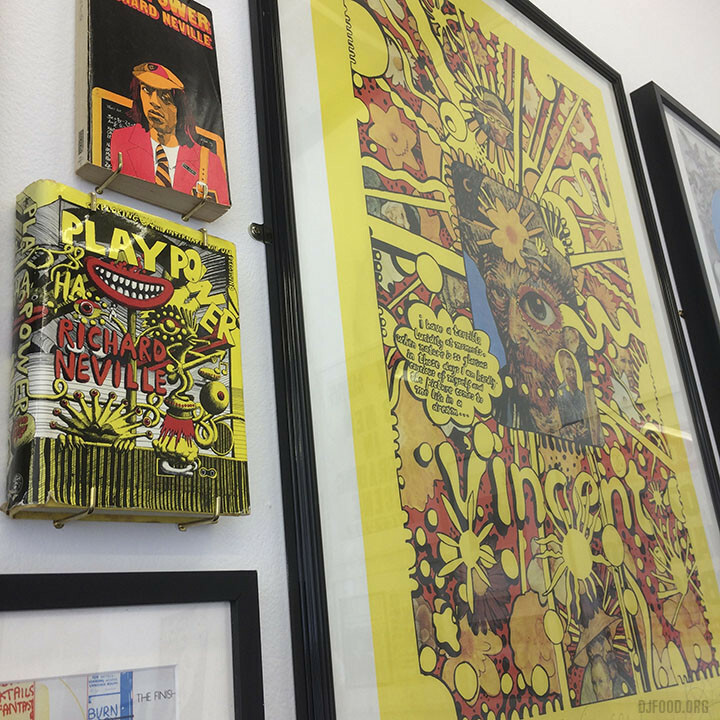 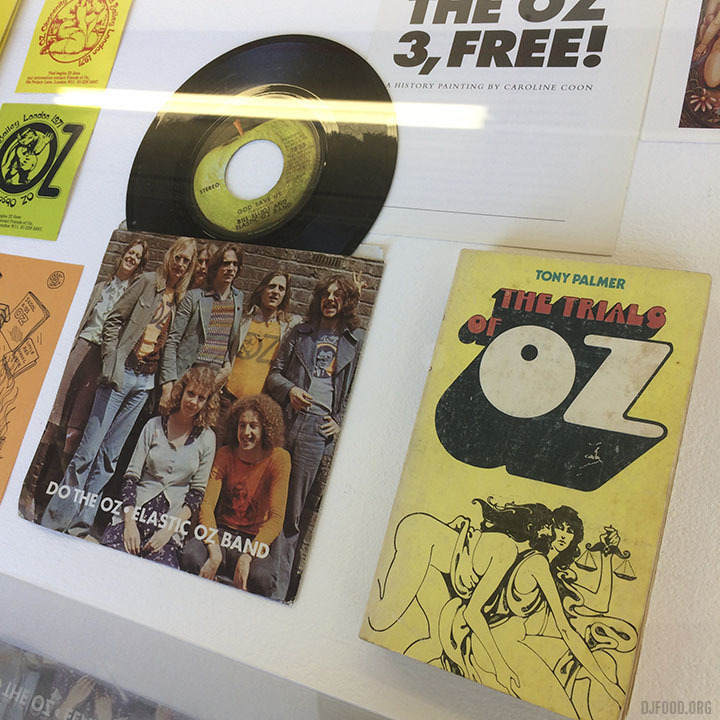 Chelsea Space at the Chelsea College of Arts in Pimlico has recently opened an exhibition looking at Oz, it’s obscenity trials and the counterculture magazines of the 60s and 70s that sprang up around it. 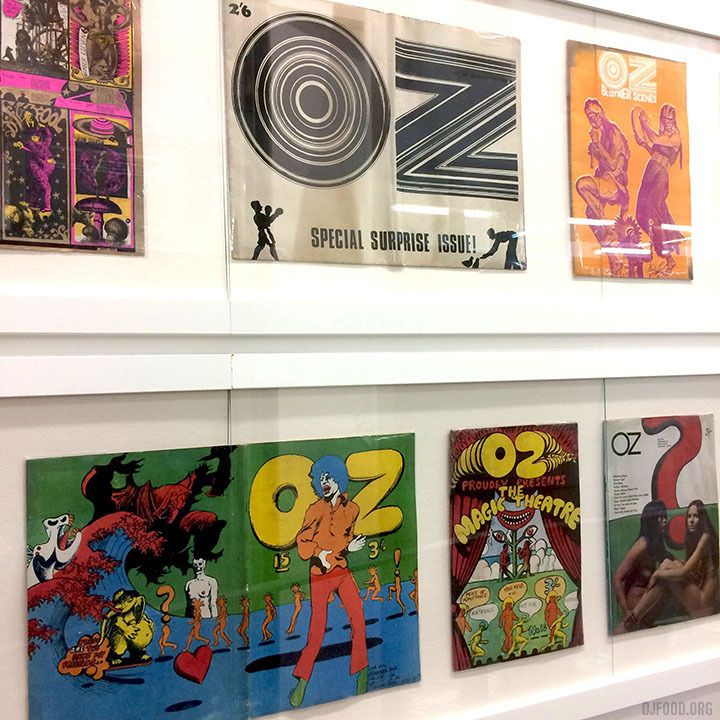 Featuring every issue of both the Australian and British runs, posters, letters, films and all manner of ephemera from the estates of Richard Neville, Martin Sharp, Felix Dennis and many private collections of those who worked on it, it’s a lovingly curated selection by Cherie Silver who was minding the exhibition when I went last week and was eager to answer questions. 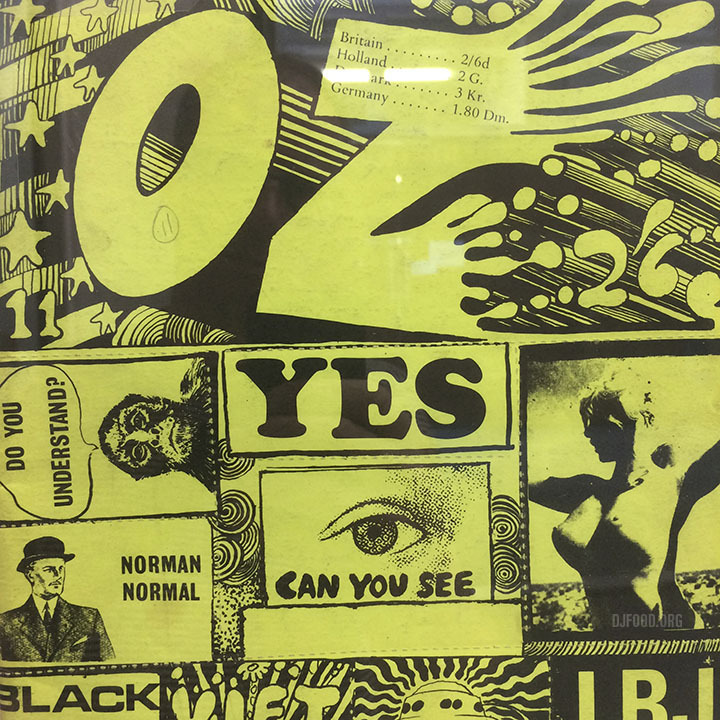 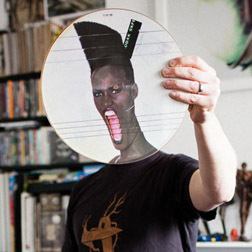 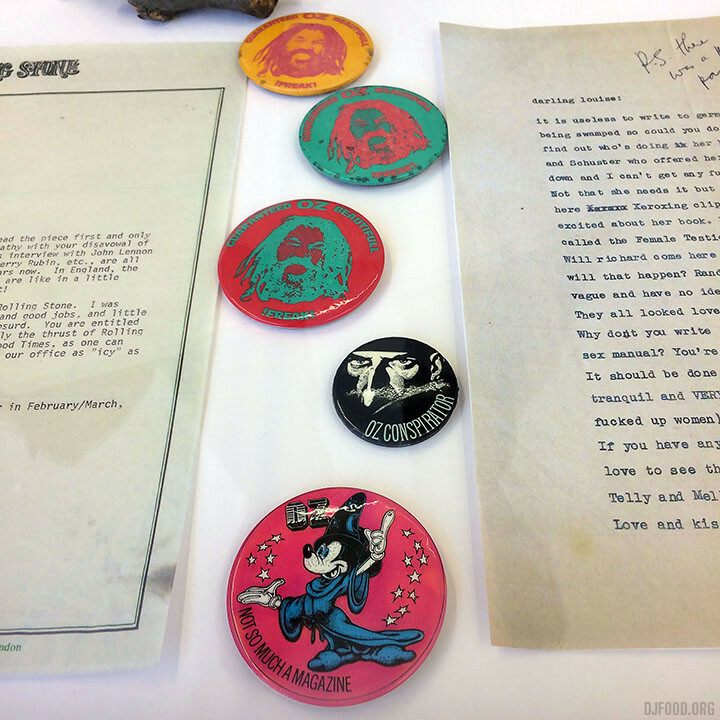 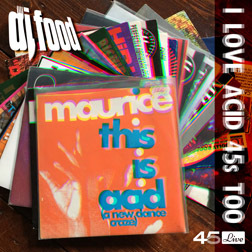 If you’ve never seen issues before then here’s a chance, there are some that can be looked through and one wall lays out the Magic Theatre issue, comprised entirely of a stream of consciousness collage. 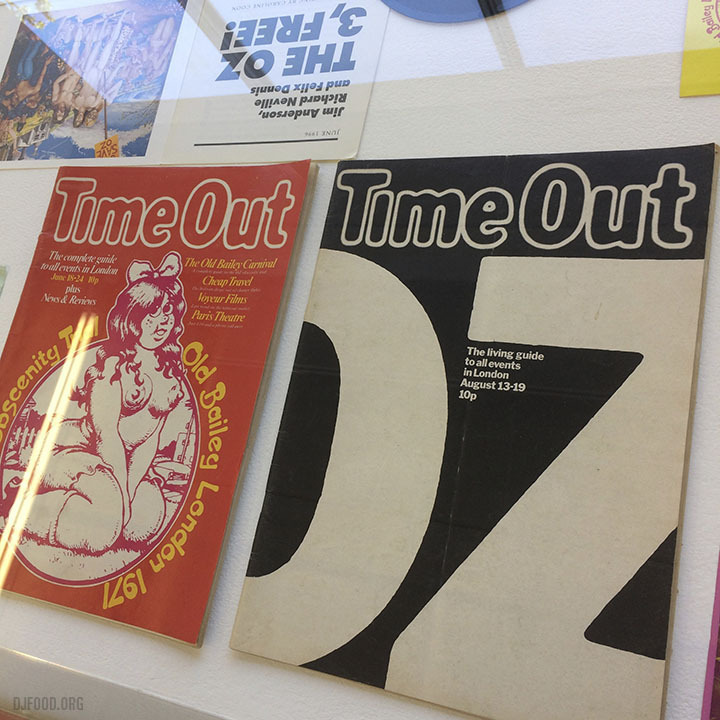 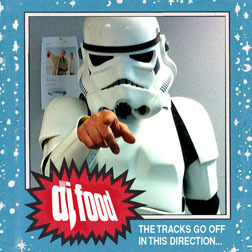 It finishes on July 14th and is free, usually open between 10.30-11am. 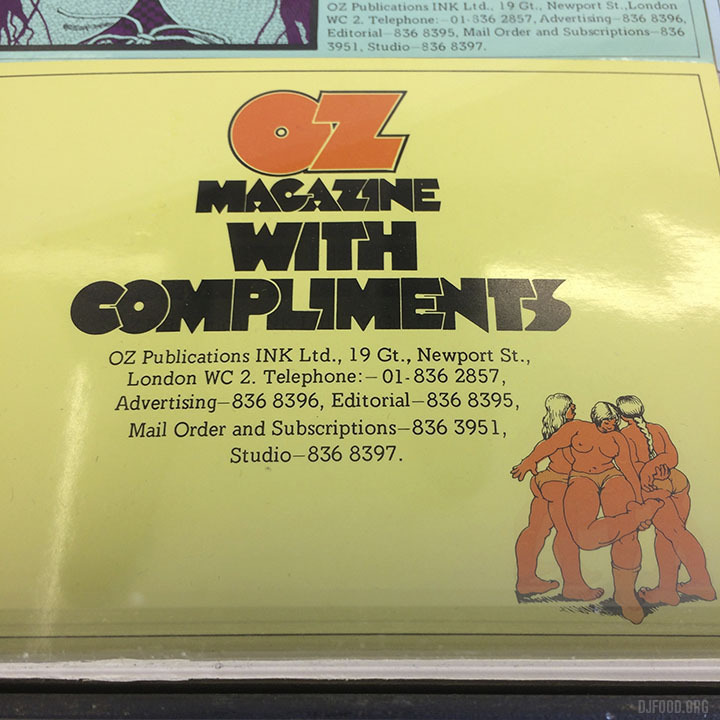 * I rather like the graphic above, subverting George Orwell‘s 1984 maxim, unfortunately they could never have foreseen the Big Brother they’d be watching half a century later.